Beyoncé, I was hurt. I went down seven years on behalf of you… I am putting my career, my life, my public standing at risk when I talk to y’all like this. This is a moment in the matrix, bro. …Beyoncé, I was hurt because I hear that you said you wouldn’t perform unless you won Video of the Year over me and over ‘Hotline Bling.’ In my opinion… now don’t go dissing Beyoncé, she’s great. Taylor Swift is great. We are all great people. We are all equal. But sometimes we be playing the politics too much and forget who we are just to win. That rant pales in comparison to this part of West's address, where he pleads to Jay Z, saying, "Call me, bruh. You still ain’t called me. Jay Z, I know you got killers. Please don’t send them at my head." Yes, I know this might seem kind of par for the course with all things Yeezus, but I think we can all argue that this is a bit outlandish, even for him. 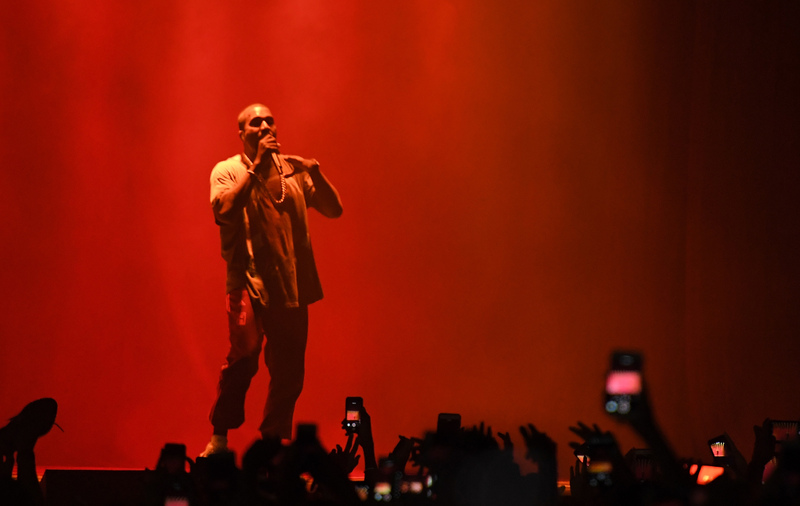 The concert talk is in addition to West's Donald Trump endorsement and rant over the election earlier this week, and with Ye's outward negativity piling up, it might be best if he reins it in for awhile and takes a break from public life. A break could clear his head, and perhaps spending time with his family and friends would do West some real good. And we could all leave West alone for a bit, too. It's clear that despite fans' backlash over his Trump comments and perceived hypocrisy, West isn't listening to what the public has to say about his comments and actions. If you still want to tweet something to Ye because you're concerned and still rooting for him, though, maybe the best thing to do is to tell him to take some time for himself to sort things out, and let him know that you'll be here when he gets back.